Steel tubing with weighted black metal base. Stylish and functional. 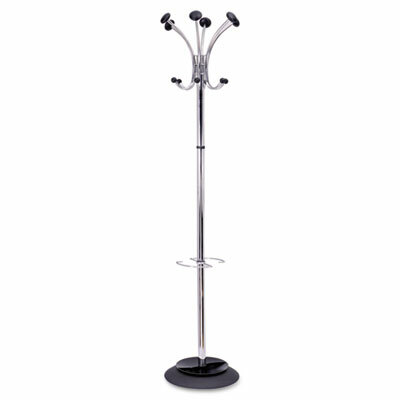 Provides six coat knobs, six accessory hooks and an integrated umbrella stand with removable water container.